In the first in-depth examination of music written for Hollywood animated cartoons of the 1930s through the 1950s, Daniel Goldmark provides a brilliant account of the enormous creative effort that went into setting cartoons to music and shows how this effort shaped the characters and stories that have become embedded in American culture. Focusing on classical music, opera, and jazz, Goldmark considers the genre and compositional style of cartoons produced by major Hollywood animation studios, including Warner Bros., MGM, Lantz, and the Fleischers. Tunes for 'Toons discusses several well-known cartoons in detail, including What's Opera, Doc?, the 1957 Warner Bros. parody of Wagner and opera that is one of the most popular cartoons ever created. Goldmark pays particular attention to the work of Carl Stalling and Scott Bradley, arguably the two most influential composers of music for theatrical cartoons. Though their musical backgrounds and approaches to scoring differed greatly, Stalling and Bradley together established a unique sound for animated comedies that has not changed in more than seventy years. Using a rich range of sources including cue sheets, scores, informal interviews, and articles from hard-to-find journals, the author evaluates how music works in an animated universe. Reminding readers of the larger context in which films are produced and viewed, this book looks at how studios employed culturally charged music to inspire their stories and explores the degree to which composers integrated stylistic elements of jazz and the classics into their scores. 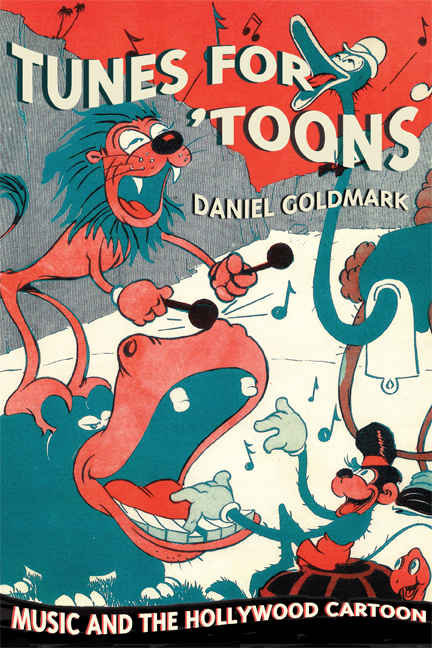 Daniel Goldmark is Associate Professor of Music at Case Western Reserve University and the author of Tunes for ‘Toons: Music and the Hollywood Cartoon (UC Press). "Never facilely reductive, Goldmark's analyses of Carl Stalling's well-known populist propensity for non-stop musical quotation and Scott Bradley's brilliant but borderline condescending aspirations to 'elevate' the form are complex and multilayered. As a bonus, Daniel Goldmark complements his scholarly referencing of relevant secondary source material with refreshing (and, these days, quite rare!) forays into original research, unearthing surprising, never-before-seen archival elements. "—Greg Ford, Executive Producer, "The Carl Stalling Project"
"Daniel Goldmark has written a remarkable account of the history of animation music. His new book Tunes For 'Toons is a 'must read' for both the animation neophyte and the die-hard fan. The section on legendary composer Carl Stalling is worth the price of admission by itself. "—Alf Clausen, Composer, "The Simpsons"